How to Dispute a Debt and Win? 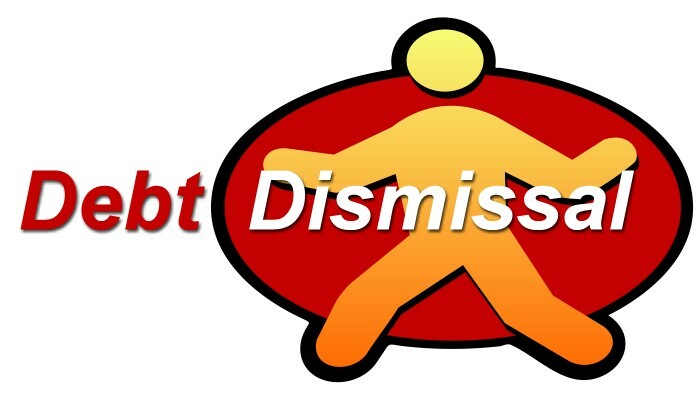 - How to Get Your Debts Legally Dismissed with Legal Debt Dismissal? Is your creditor is disturbing you and asking for the bill which actually does not belongs to you? Calm down, because you are not alone. Every year thousands of Americans get in this situation where their creditor asked for the money which their debtors actually do not owe or the real amount of the bill is much lowered than what the creditor is asking for. That’s why; there is a disputed debt law in America. The official definition of disputed debt is quite complex. For you, I am sharing the easy one which can be understood by you easily. Basically, the disputed debt is a loan or obligation (in term of money) which you believe that it does not belongs to you or you don’t own it. In real life, there could be so many examples of the disputed debt which includes the delinquent account which does not belong to you or the bill of your gym which you have used for very few days. This also includes the lawsuits in which one person asked for the responsibility of medical bills from you in a car accident or in the case when the injury does not happen due to your fault etc. Why is it important to win a dispute against debt? It is important because it can cause many problems in future if you want to take debit or loan for business or personal use. If you failed to win a dispute against a debt which you don’t owe then your credit report will get negative impression for at least 7 years (debt collection on credit report). This happened due to the credit bureau that will provide your credit report to the bank at the time when you asked the bank for the loan. How to dispute a debt? A dispute debt letter will give you an instant relief because this letter will stop the creditor to send you all notification related to dispute a collection until he/she provide you the evidence. You can still dispute a debt and win by doing the traditional tactics which include cutting your expenses and collecting money to pay the disputed amount or make deal with your debtor that you will pay the amount after a specific time. You can also use one of your assets as security to increase the days of debt collection if you really own their money. Other than this, you can use the online tool like credit karma to generate your credit report to see that how you can manage all the debt easily. This tool gives great advice and has advanced features to manage all debt easily. I’ll like to share my story too. Just a few weeks ago i was homeless, i was jilted by my online lover. and he had robbed me of everything i had. By the time i realized i was being played, my credit score was already 458 , i had an eviction on my report and a large debt on my credit. I was on my way to the little corner behind the store where i normally sleep when i saw a fellow homeless person who i met some days ago and he was looking so changed and successful. I immediately began to beg him to tell me how he made it so fast and because i had told him my story when we previously met, he understood my problem and gave me the contact of the hacker that helped him. i contacted the hacker and he fixed my credit, raised my credit score and cleared all negative listings on my credit in less than 3 days. I would have kept quiet about this, but i won’t be able to forgive myself for not helping people who are in terrible conditions like i was. I wish you good-luck. Fix your horrible credit and get your negatives cleaned with the help of a reliable personnel Fico and Ex Transunion agent! He’s tested and trusted. I had a very low credit score (around 520) and it was ruining my life. I needed help. I was very depressed because of it and had been trying to repair it but It just seems nothing was capable of getting my score raised quickly. I needed something done fast. I had read a lot of good things about this hacker online which gave me a go ahead to try him out. I almost gave up my search for a real agent because I kept meeting fake people who are not capable enough and who are always after the money, I’ve been conned by them. Spy stealth is not about the money but about attaining a good reputation at always satisfying his customers. My credit score is now 760. This is my way of showing appreciation for a job well done on my credit report. He’s affordable and always at your service.